We can read things written on stone tablets thousands of years old but have trouble reading data off of disks less than 25 years old, that’s technological progress? I read a 1/2″ mag tape a few years ago that had been written in about 1989. The physical read was helped by it being only 1600 bpi instead of 6250, on thick stock (it was a 600′ reel) and it had been stored fairly well. Once we got the dump off it, I had to decode the propriety tape format (Primos MAGSAV, I think) and crawl through the directory structure. Once I got to the data, what programs would still be able to read them (other than text files, of couse.) Some bitmaps were fun to read – digital photos from that long ago tended to be small. Now I’d have problems finding a working 1/2″ drive. 1/2 inch left my world around 2004 along with NCR mainframes. At least we were standard ASCII or EBCDIC. We were mostly 6250 BPI. Reading someone elses file that contained ASCII or EBCDIC AND packed or binary data was always fun. We tended to use 1600 BPI if we were sending something out. Not everyone had 6250 capability. You’re lucky that the brown on the tape didn’t de-laminate. At the end for us, some tapes were beat. We also had some IBM 3480s (I hated those things). Half the time it would write out data and you’d read it back to make sure and you’d get errors. Nowadays, Oracle Databases, about 140 containing distinct financial institutions. We started migrating over late in 1999 and it took over 3+ years converting a few ever few weeks. When we started the databases were on physical hard drives in the server racks. A couple of years ago we went to solid state memory. Much faster. The physical hard drives were tossed into trash cans and a bonded company came and destroyed them. Must have been 100s of those drives. I remember a NCR mini computer that the company had paid $72,000 for back in day, sitting at the back employees entrance with a sign saying “Free”. There were no takers. Oh, I forgot. My first IT job was with a department store. The cash registers spit out punched paper tape. The computer room had a paper tape reader. Every day, someone would take these 3-4-5 feet tapes, wind them on a reel and then read them like you would a magnetic tape. At least after you sucked the data off of paper, you didn’t have to keep the paper for very long. That’s why everyone with half a brain avoids badly documented binary standards. That said, there’s still a surprisingly large amount of Microsoft Office files around. Back in that time it actually already was starting to get simple, because that was after the standardisation of the 8-Bit Byte. Before that you may have very well had a 36 bit machine with 6 bit “bytes”. 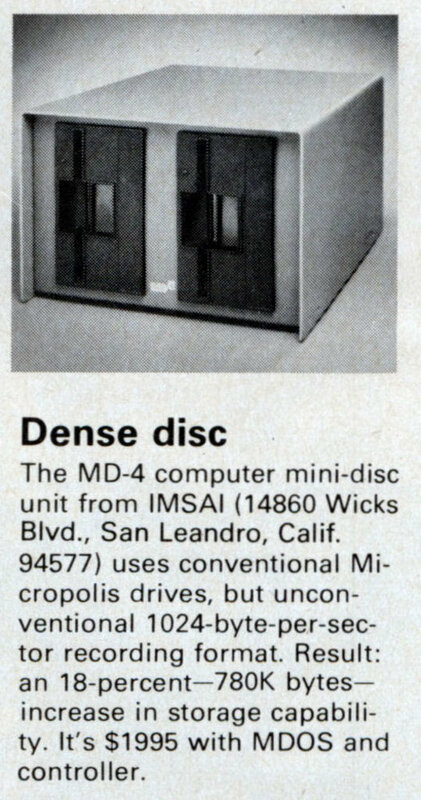 What I’d like to have would be a machine which only reads text from disk. If you boot it up, a small compiler loads the operating system from disk as source and compiles it into RAM. The same goes for any kind of software. We used paper tape (mylar, actually) to start the boot on a Burroughs I once used. No, wait, there was a step before that. You had to toggle in the address of the paper tape reader first, using 16 of the most beautiful toggle switches ever made – 1″ wide, 3″ long, silky smooth action, and color grouped into fours for ease of use. 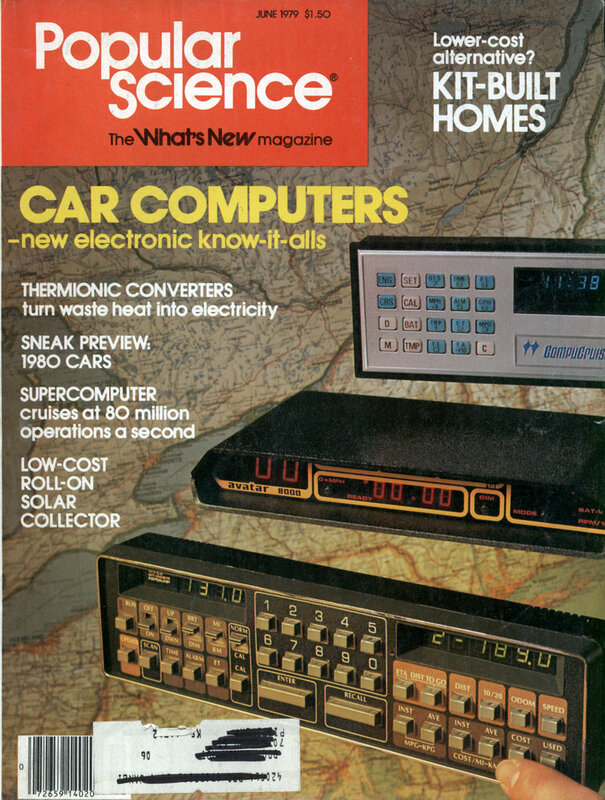 In 1978, we used that machine to access the Darpanet, and mostly used RJE to submit jobs to larger computers. I have a 1991 article that mentioned this. It’s from an Associated Press article from the Chicago Tribune. In 1991 they were still decoding Vietnam war records.